ZDNet has posted an interesting article titled "Hacking the Hotel through a TV." The article describes how a hacker named Adam Laurie has hacked into the hotel system and was able to watch premium channels for free, control the minibar, schedule phone calls, and even spy on his guests. It does not note whether this behavior can be deemed criminal and ends with saying, "Next time you check into a hotel, first make sure Adam Laurie isn't staying there as well"." I'm sure this guy will probably be caught sooner or later for trespassing and altering system behavior since now he's formally announced it. I believe you even might be able to find formal instructions on how to do this yourself, but I would not recommend it because of the criminal nature of this work. An interesting article was posted on BusinessWeek called "Revenge of then Nerds - Again." It highlights how Google and Yahoo are luring the young, vibrant, and intelligent engineers from firms such as Microsoft, Ebay, and Amazon. It says, "Indeed, Google -- and, to a lesser degree, Yahoo -- has become what Microsoft used to be: a young, vibrant company working on the bleeding edge of the day's vexing technical issues." I remember talking to a few of Microsoft new hires from UT and they told me how Google set up their own recuriting camp right in front of Microsoft in Redmond so that they could lure them away from the company. So is Google and Yahoo creating a brain drain on the industry? Read more to find out. 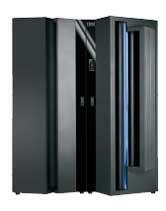 From ZDNet News, "The new line, dubbed z9, is the ninth generation of IBM's modern zSeries mainframes. Prices start around $1 million apiece. Fully configured, the z9 has 54 chips and 18 billion transistors stuffed into a black, refrigerator-sized box." 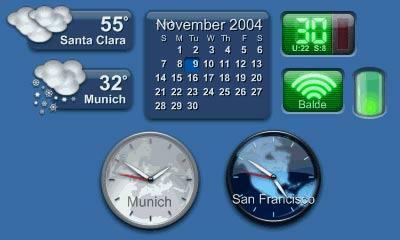 From the MacWorld website - "Yahoo! Inc. on Monday will announce the acquisition of Konfabulator, a Macintosh and Windows application that allows users to run mini files known as Widgets on their desktop -- the same model used by Apple for its Dashboard application. Yahoo! company executives said they would also be giving Konfabulator away for free, completely doing away with the US$19.95 currently charged for the product." Download it here. If you don't get it, read The War on Terror - For Dummies for an explanation. For the second link, you can learn Java or just ask me. This is an interesting review from BigBruins.com on the latest and greatest hard drive known to man. The Hitachi Deskstar 7K500 500GB SATA-II Hard Drive. If only storage of such proportions would soon be available for laptops and digital electronics of the like. I know this is kind of old news, but visit ToTo247's Xanga site and you will see the post that police used on May 17, 2005 to identify his and his sister's killer. It is kind of eery and sad, but brings to the forefront how powerful of a tool blogging can be. Its got to be a feeling like no other to win the 7th Tour De France. There probably will never be another cyclist like Armstrong since his dominance in the sport has made him a legend. I'm not sure if any other cyclist has ever achieved such a status. It does make sense to step down when you're at your best, but will he ever want to make a comeback, like perhaps Michael Jordan did? We'll just have to wait and see. So you know how Xanga allows you to view subscriptions to blogs using their Subscription reader? You can sort of do something like that for Blogger using NewsGator. Make sure that when you allow you blog to send out a site feed, then I can read your blog using a syndicated web application. For example my Atom file http://yongshin.blogspot.com/atom.xml basically contains the content of my blog but in a site feed form. Adding this to my NewsGator feeds allows me to view the posts whenever a new or changed post comes out. You can also use special formatting services from Feedburner so that your xml feed might also contain ads for example (note: You need to apply to for feed Adsense through Google). There's also lots of technology through which you can promote your blog. Blogdex and Technorati are two great examples. My Movie Reviews for Summer 2005! A good French movie that dissects into the life of a man who wants to help another after the latter attempted to commit suicide. A very funny romantic comedy but only worthy of amusement. Don't take this movie too seriously because it basically is twisted in a sense. I wasn't fond of the acting nor was I fond of the story line. Some things didn't fall into place and some scenes should've been remade so it falls into place with the movie. I felt that the entire plot was forced instead of drawn out. This movie would've better if the movie wasn't too weird and if the script and the plot were reworked. It seemed like everyone was trying too hard to make this movie more different than the original, or even better. I don't think I would call this a classic. I really like this movie because it was beautifully made. The actors in here make the movie come alive and the storyline is great! You won't be disappointed. Its not as powerful as I thought it would be, but the message is clear and thought provoking. The best movie I have seen this summer! Hilarious and intelligent plot. I loved the way things just sort of happened in this movie. Somehow everything just falls into place and it becomes quite of a spectacle. Its a Star Wars movie! This movie was better produced than the others and it actually seemed like a decent movie to me. Although it didn't meet my expectations of a great movie, you should watch it because this is a George Lucas classic. I actually liked this movie because I heard many not so good things about it. I thought the acting was great but the ending was too abrupt. There should have been more explanation and screenplay, although it seemed like a movie that had a smooth plotline going all along. Some parts of the movie are kind of dark and eery. But I guess that's expected in a movie of this nature.